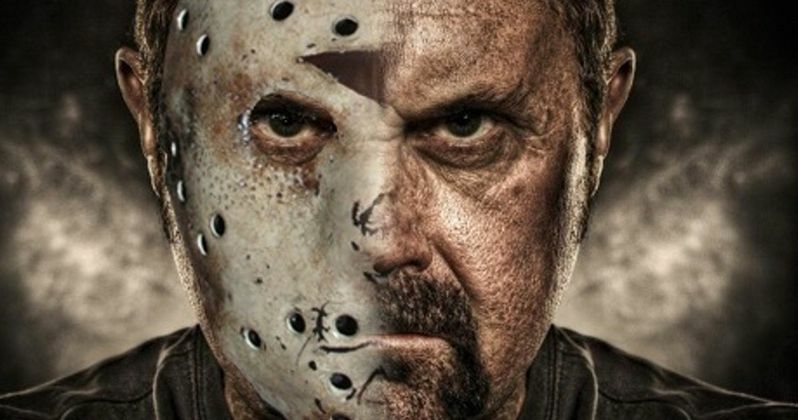 Kane Hodder had the honor of portraying Jason Voorhees 4 times, more than any other actor has played the part, so in the eyes of most horror fans, he's the definitive version of the character. At the time of Freddy vs. Jason, Robert Englund was the only actor who had played Freddy Krueger on the big screen, so he was undoubtedly going to be in Freddy vs. Jason. In the end, the filmmakers chose to go with Ken Kirzinger in the role of Jason after he played the part in Jason Takes Manhattan, leaving a bad taste in the mouths of horror fans all over the world. However, Kane Hodder now reveals that he made a small cameo in the movie after all. In a new interview, Kane Hodder details how he ended up in Freddy vs. Jason and it's pretty awesome. Hodder goes on to say that the filmmakers didn't even know about the small cameo. As it turns out, the cameo was even a surprise to Hodder and just about anybody else who has ever seen the movie. He explains. "They say I wasn't in Freddy vs. Jason. The filmmakers didn't even know it, but I was in that movie. There was a scene where they're at the insane asylum or whatever, the hospital, and there's a movie playing on a TV set - and it happens to be Leatherface: Texas Chainsaw Massacre III. And there's a scene of Leatherface doing something, and that's actually me as Leatherface. I was the stunt double for R.A. Mihailoff for that movie and I was stunt coordinator. And so, they're trying not to put me in the movie, and I was still in it and they didn't even know it." Kane Hodder's Freddy vs. Jason cameo has to be one of the strangest cameos in the history of horror movies. Kane Hodder had some pretty strong feelings after not being picked to battle Robert Englund's Freddy Krueger, since the actor had already been invited back to reprise the role in Jason X, which is definitely not an essential installment of the franchise by any means. The actor had long dreamed about the Freddy Vs. Jason movie, and was disappointed that he got snubbed for the role. He also admits that he thought it was a joke when they first offered Jason X to him. He had this to say. "When they first told me, hey, we're doing another one and we want you to do it again, I was very happy, and they said, it's gonna be Jason in space. I said, that's pretty funny. What is it, really? They said, Jason in space. I was like, oh, I thought it was a joke." Though Jason X isn't the best in the franchise, many feel that the movie did a good job of trying to bring in elements of the first handful of movies, which was a welcome idea at the time. Kane Hodder said that he played the character as he always has and just tried to do the best that he could do. The actor and stunt coordinator went on to say that he thought the costume in Jason X was pretty cool. Kane Hodder did not have a big role in Freddy vs. Jason by any means, but it's now a very good piece of horror trivia for fans. One has to wonder what the filmmakers think of this new piece of information that has just come to light. Hodder continues to work and has the rare distinction of having played Jason, Leatherface, and Freddy Krueger, which is something no other actor has done. You can read the entire interview with Kane Hodder over at We Got This Covered.